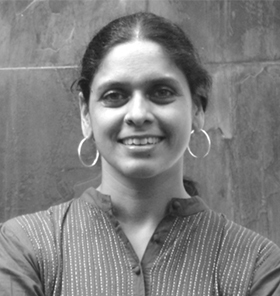 Anita Gurumurthy is a founding member and executive director of IT for Change, where she leads research collaborations and projects in relation to the network society, with a focus on governance, democracy and gender justice. Her work reflects a keen interest in southern frameworks and the political economy of Internet governance and data and surveillance. Anita engages actively with policy makers, practitioners, social movements activists and the academic community to expand and deepen conversations on the public policy imperatives of the intertwining of the digital in all spheres of life. She also directs and draws inspiration from the work of Prakriye, IT for Change’s field centre, that works towards promoting women’s and girls’ leadership and digital capabilities.